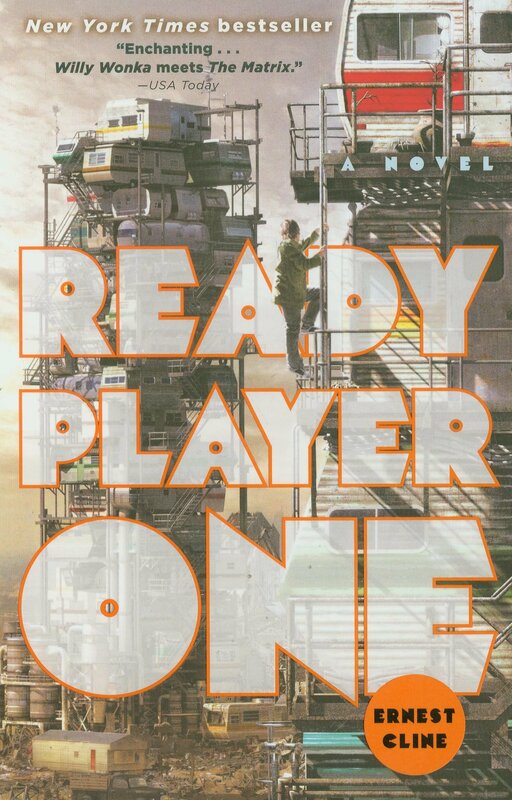 Ready Player One by Ernest Kline is a book I really enjoy. I’ve read it a few times now, and this recent reading seems to have haunted me a little. I decided on Wednesday morning that I was going to start re-reading it. Wednesday night, I put it down (finished) having only stopped reading it while I was in the office. Oops. Thanks to Loot Crate‘s Play Crate from February, I actually now have two copies – which may have been the inspiration to re-read it. Halfway through it, I decided to recommend it to one of my colleagues, and offer to loan it to them. Turns out I didn’t need to. This is where the haunting aspects came in. Thursday, I talk to my colleague, having finished it again in a day (oops), and discover it’s the next book on his reading list. Coincidence, I think, but awesome. Then last night I’m watching the TableTop Cards Against Humanity episode (NSFW, NSFC, NSFA) and one of the guests is Laina Morris (Overly Attached Girlfriend). So I go and check out her channel on YouTube, and at the end of the first video I watch, she recommends an audiobook of Ready Player One read by Wil Wheaton. Anyway, I love this book. It’s geeky and it doesn’t pretend to be anything different. It’s full of trivia and media icons from the 80’s and follows the story of a geeky fat kid who ends up becoming an OASIS superstar, beating the bad guys and getting the girl along the way. Yes, that’s cliche but it’s the story full of them. In an age where you have virtual reality worlds freely available with modding potential far above that of Second Life that has effectively replaced the internet (and the real world for some people), there’s a story based around 80’s classics and text adventure games. And that’s awesome. Maybe there’s a little too much “orphan raised by his aunt has all his family and friends killed then goes out and brings down the evil empire with nothing more than pluck and a few loyal friends” but that doesn’t matter – it doesn’t stop it being a good read. Seriously, stop reading this and go read Ready Player One instead.